Education on spay and neuter is a key factor along with efforts to humanely trap feral (wild/untamed) cats and sterilize them: trap, neuter, and return (TNR). Our Programs at Save A Kitty include a TNR Program, a foster and adoption program, along with continuing education on the plight and suffering of these homeless and abandoned kitties. We at save a kitty do not believe in cages and our rescued foster kitties are cared for by our volunteers in their homes. where our foster kitties are cared for in a cage-free environment until they are placed into responsible, loving, permanent homes. Every day we incur many expenses in order to feed and care for our rescued kitties. Donations often do not cover all of these expenses. That is why we are asking you to open your hearts and give what you can. Your donation will help with veterinary expenses, which include examinations, medications, vaccinations, spay/neutering, trauma surgeries, FELV/FIV testing, worming, and treatment for fleas. Your donation will also aid us in feeding and housing these precious lives until they are placed in loving homes. Save a Kitty has no paid staff, which means that 100% of your tax deductable donations go directly towards the care of the kitties. As is the case with most rescues, Save A Kitty, Inc. was founded on the basis of personal experience. Most anyone with an ounce of compassion could not have stood by without intervening while a tiny, helpless kitten was being unmercifully swept into a dustpan, only to be discarded into the trash. This was 15 years ago and the kitten (aptly named Dusty) is still with us. Having grown up in an animal-loving family, it was normal for me as an adult to have a couple of cats and a dog. However, Dusty’s arrival opened a whole new world for me. Dusty needed to be bottle fed as she was only 10 days’ old. I solicited the help of my vet and called some rescue groups. Few people returned my calls and the story was the same “We are overloaded.” I was informed that unless I could care for this baby myself, she would not have much of a chance at the city shelter. I was told to look around the area, in the bushes, etc. maybe there were other kittens and a mama cat. I found out that the mama cat had been hit by a car and the litter had been born in a neighbor’s backyard. The neighbor coldly told me “I could go look if I wanted to” for other babies. Well, I did find other babies and sadly only one was alive, barely clinging to life. I rushed her to the vet and was told to keep her warm and continue in the same way as I had been instructed to care for Dusty: bottle fed every two to three hours around-the-clock; keep on a heating pad; keep clean…; and pray. This little kitty was barely alive but somehow miraculously in my novice act as surrogate mom, both of these tiny little balls of fur survived. 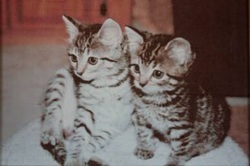 Dusty and her little twin sister, Baby, were the catalysts for Save A Kitty. As they grew bigger and stronger, my love for them and theirs for me was actually breaking my heart. I could not help but think “what if, what if I had not seen that woman sweeping my little Dusty into that pan?” “What if I had not seen that neighbor and never knew that Baby lay dying in the bushes?” It became unbearable to think of other kittens with no help and no hope. I began to immerse myself more and more into the world of rescue, and ended up some years later becoming CEO of an already established cat rescue organization. 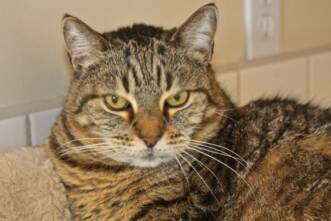 In 2007, I decided to establish my own organization and in February 2008, Save A Kitty was granted 501(c)(3) status. Over the years, I have had many Dusty’s and Baby’s and, as all rescues do, we have had our heartbreaks, but mostly we have rejoiced at being able to save hundreds of lives and give them a chance to become cherished pets in responsible, loving homes. I have a wonderful Board of Directors and dedicated volunteers. My only regret is that I sometimes find myself saying the same thing I was told 15 years ago: “We can’t take in anymore right now” and it makes one wonder: 15 years of trapping and sterilizing; 15 years of many, many sleepless nights bottle feeding; 15 years of nurturing and readying kittens for adoption; 15 years of schlepping back and forth to vets two to three times a week; 15 years of loading the car with cages, kittens, and Baby Wipes, off to adoptions we go. After 15 years for me, but more for many rescue groups, and all of us are still overwhelmed. “Are we making a difference?” Some may say, and my answer is this: “Do we measure life, or do we value life?” I look at Dusty and Baby and I see all the kittens that are born into the same fate as theirs, only not so lucky. If we can prevent suffering at all, then definitely I would say that it is worth it. There is much work to be done but through TNR (trap/neuter/return), millions of unwanted births are prevented by the efforts of dedicated cat rescue individuals/organizations every year. When I look at Dusty and Baby, I look at all the other little lives that have been saved and I know to each and every one of those kittens it made a difference. And when I look at Dusty and Baby and they look back up at me, after 15 years of a love story, not only do I know that I made a difference in their lives, I know that they know they made a difference in mine. 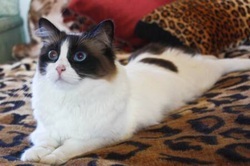 Save A Kitty is based in Lancaster, just outside Los Angeles. 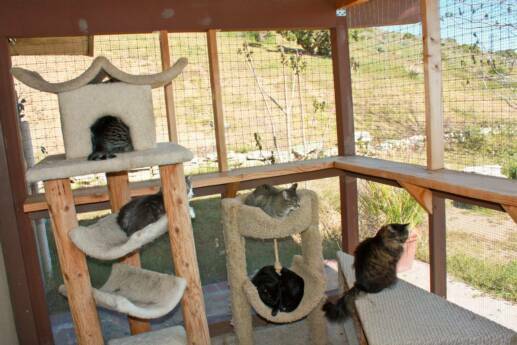 We have created a small safe haven for our foster kitties, where they enjoy romping and playing in a large indoor area and also have access to a completely enclosed outdoor area where they can bask in the sun and watch the native wildlife. We also have a network of foster volunteers. Los Angeles has a huge feral cat population and, unfortunately, thousands upon thousands of cats and kittens deemed "feral" by Los Angeles County shelters are euthanized every year. Over the years, Save A Kitty has rescued numerous litters of unweaned kittens from the shelters, as those are the first to be euthanized because they do not have the manpower to care for them. At Save A Kitty, we are a no-kill cat rescue group. 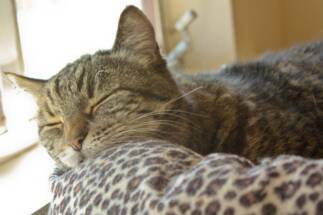 Our kitties will remain at our cage-free sanctuary until they find their forever homes. 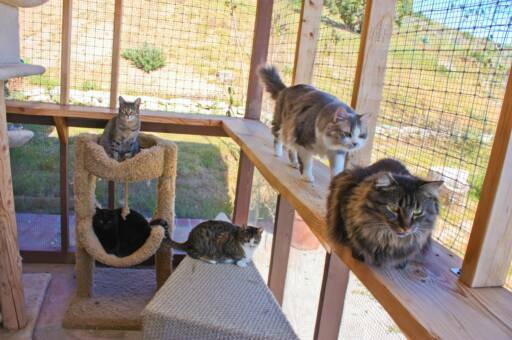 Here are a few of our beautiful kitties just hanging out, basking in the sun, and enjoying one of our outdoor enclosures.